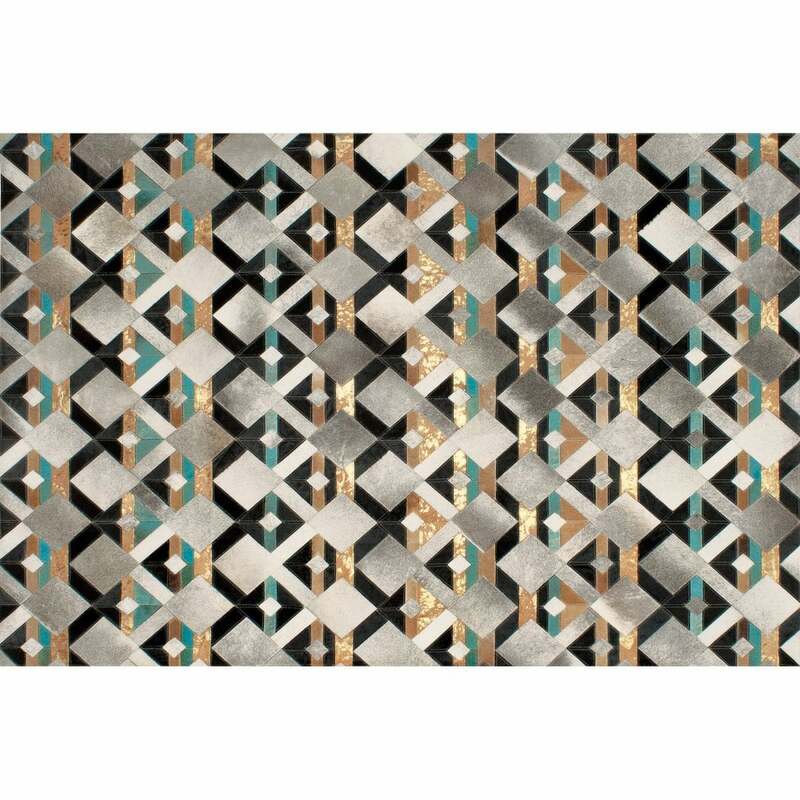 The Nauvoo Rug by Serge Lesage features an all over Aztec pattern created by interlocking diamond structures. This striking motif creates a tile-like design that feels fresh and contemporary. The unique colour palette of peacock blue, silver and cream contrast beautifully against the rich hues of chestnut and black. Hand-sewn using the finest leather, Nauvoo has a quirky elegance that will bring a pop of colour to any home interior. Style within a minimal space for an artistic touch or in a rustic home for an eclectic look. Bespoke sizes are available on request. Make an enquiry for more information.